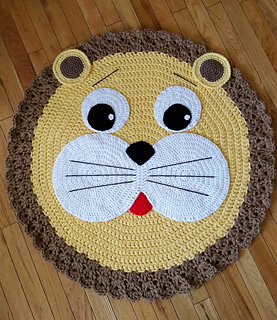 This is an easy pattern to make a cute lion rug. 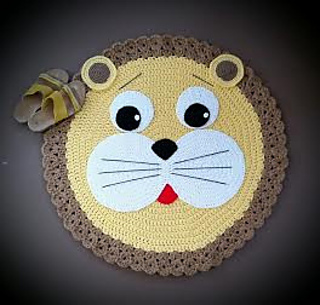 I think it would be adorable in a baby safari themed nursury. The pattern is written in US terminology. Measures approximately 35 inches in diameter.